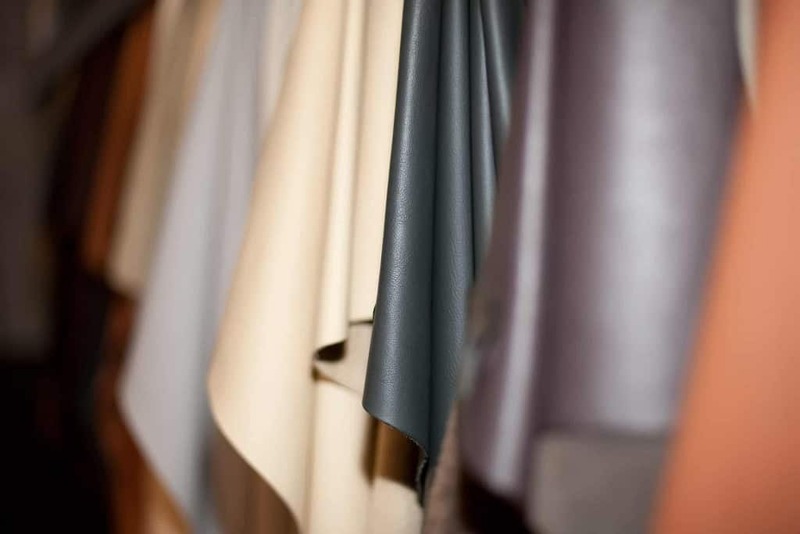 This type of leather is dyed only with soluble dyes. They allow the natural surface of the leather to show through (blemishes, cuts, etc. ), so generally only higher quality leathers are used (with nice, even surfaces). This can be a visually appealing dye since it allows the original surface of the leather to show through. This is a stylistic type of leather where a contrasting topcoat is applied in an uneven way. It is then rubbed off in an uneven way so that it appears as if the finish was work off naturally from age and use (hence the term, “antique” grain). A type of leather that is made with a split leather backing and an embossed/impressed layer of polyurethane or vinyl on the top. This gives the appearance of a patterned/shiny leather, without the cost of a true top or full grain leather piece. This is leather produced from the hide of a calf (young cattle/cow). 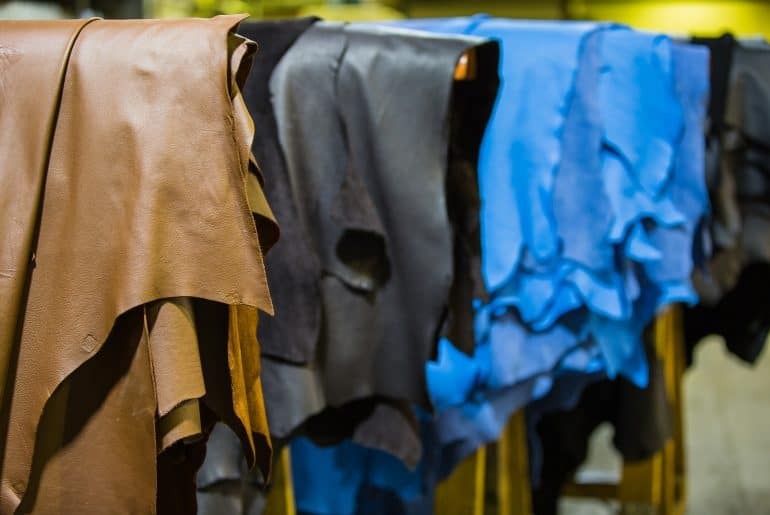 Since the calf is younger, the skin is generally softer with a finer grain, making a quality leather for very high quality uses (clothing, shows, wallets, etc.). Let’s hope all of the calves passed away from natural causes! A type of leather that comes from horses, specifically from the fibrous muscle (or shell) beneath the hide on the rump of the horse. 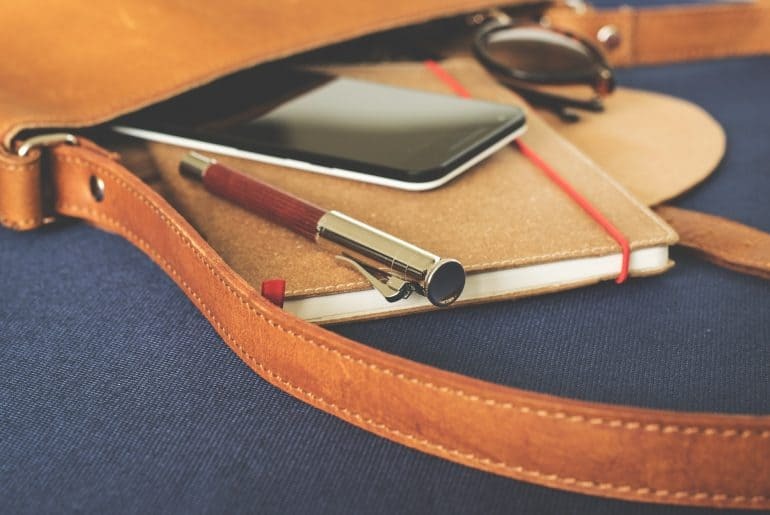 Cordovan is a prized leather, often considered one of the finest available due to it’s non-creasing quality, durability, and exceptionally smooth surface. This type of leather is also difficult to produce, and only comes in generally small sizes (since that is the size of the hide from which it comes). Currently, it is popular for high-end shoes and leather accessories. This is a synthetic leather made generally of polyurethane or vinyl. Faux leather is intended to look like real leather yet cost significantly less. It is used often in the furniture industry and has the benefits of being inexpensive (compared to real leather), durable, and easy to clean. It does however not reflect real leather qualities such as wearing better over time, having natural stretchability, breathability, and resistance to cuts and other abrasions, and a unique natural look/feel. This is more a general marketing term for a soft, smooth, full grain leather. Some napa comes from genuine leather and isn’t the highest of quality; the term itself isn’t a clear identifier of quality or material. Moreso, it can be used to connote a smooth, soft leather. This is a top-grain leather that has has the surface sanded in such a way as to leave the surface with a slight nap of short protein fibers. This produces a soft, velvet-like surface that is pleasing to touch, and also has a unique visual appearance. Nubuck leather is often used in jackets, gloves, and accessories. Patent leather is a type that has a high-gloss finish applied via a coating, generally linseed oil. It was developed in 1818 (by inventor Seth Boyden in Newark, New Jersey). Patent leather finishing is often very noticeable with a highly-reflective finish. More modern patent leather replaces the linseed oil finish with a plastic coating finish. This is leather that is finished with a top coat of pigment (or paint). That pigment helps both provide an even surface on the leather, and also a protective coating. 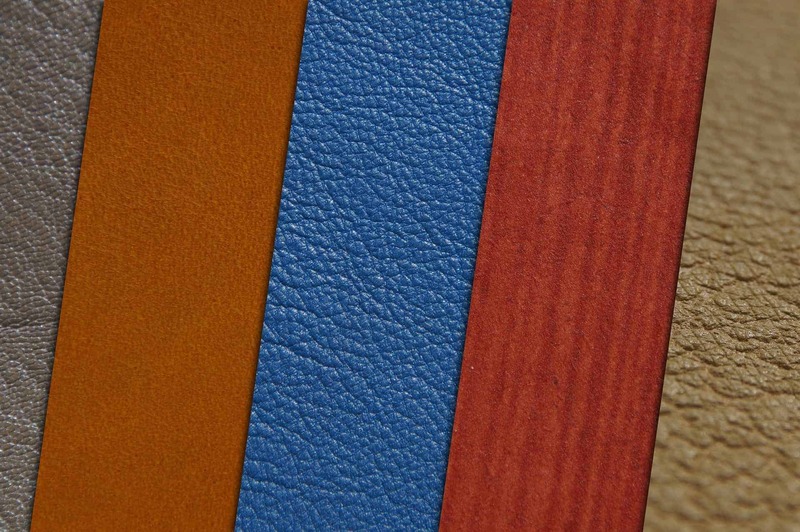 Pigmented leather is often coated with a clear protective sealer, to help protect the pigment layer. This type of leather is dyed only with soluble dyes. They allow the natural surface of the leather to show through. It is then finished with a thin protective coating to help prevent fast wear of the leather, or any other staying or discoloration from showing up on the surface. Similar to aniline leathers, this allows the natural surface of the leather to show through (blemishes, cuts, etc. ), so generally only higher quality leathers are used (with nice, even surfaces). Suede is made using a similar approach as Nubuck, where the surface is sanded in such a way as to leave the surface with a slight nap of short protein fibers. Though, instead of being made from full grain leather, suede is made from split grain leather. 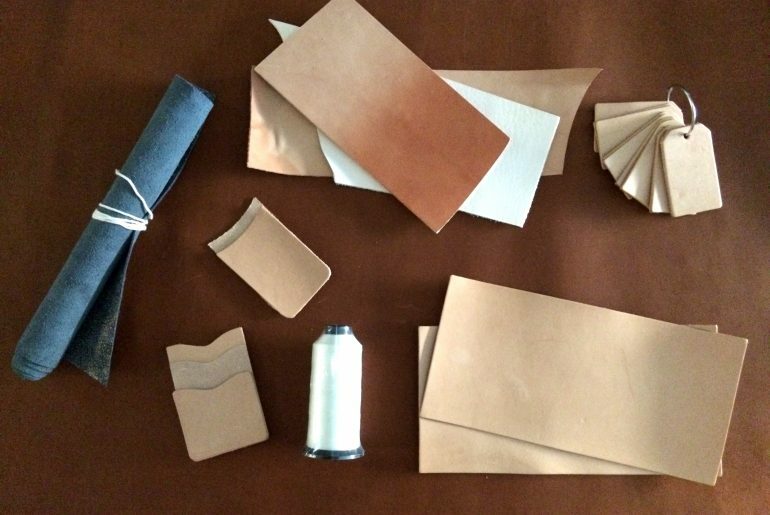 There are so many different leather types available that can be used across projects. Next, I had to figure out in general what thickness and cuts of leather are best for each type of work. Do you have a favorite leather type or something to add? Let us know in the comments below.